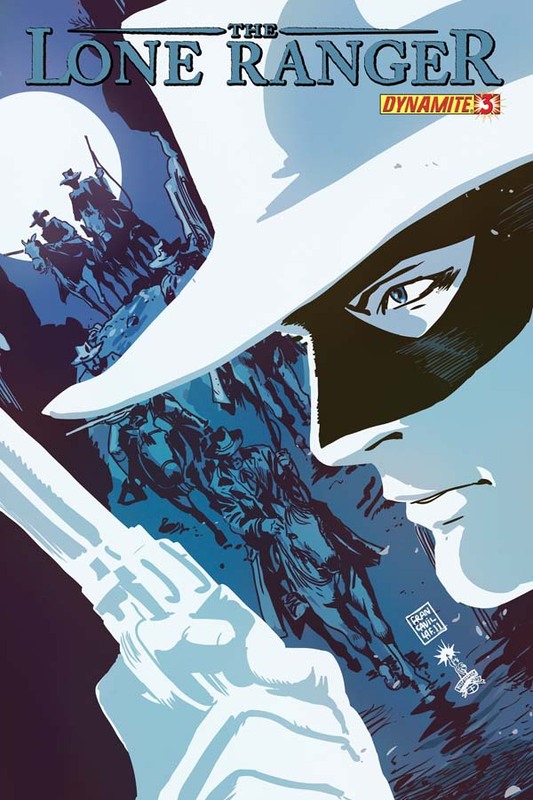 The Fellowship was fortunate enough to obtain a copy of THE LONE RANGER #3 from Dynamite Entertainment. Ande Parks wrote the story with art by Esteve Polls. I have been hoping that westerns would make a comeback in comics. With Jimmy Palmiotti and Justin Gray’s JONAH HEX and ALL-STAR WESTERN and this book out there now, the future looks bright. The flashback scene of John Reid (The Lone Ranger) as a child with his father was a nice touch. It will be interesting to get to know more of his past other than what led to his becoming the Lone Ranger identity. I remember enjoying Polls’ great work with THE GOOD, THE BAD, AND THE UGLY series (also from Dynamite). The minor problem that I have is with the Ranger’s mask. The area around the eyes is too big for my taste. Overall, this is a good book that I will have to pick up. THE LONE RANGER #3 is in comic book stores now or available at www.dynamite.net.